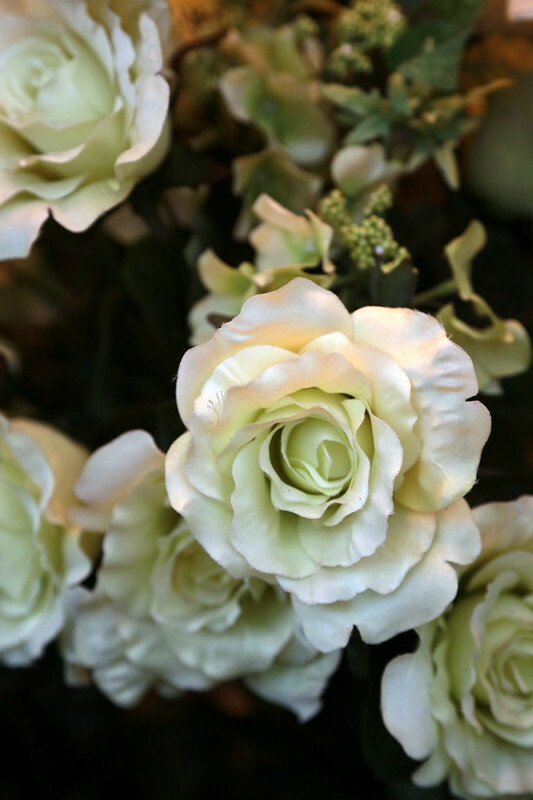 Mention Antoinette and most people will call to mind expertly crafted French-style desserts, and a well-loved place for tai-tai tea. Oh, the sweets are sublime indeed at this restaurant, pâtisserie and salon de thé inspired by Marie Antoinette's favourite hideaway chateau, the Petit Trianon. But their savoury dishes are just as enthralling. 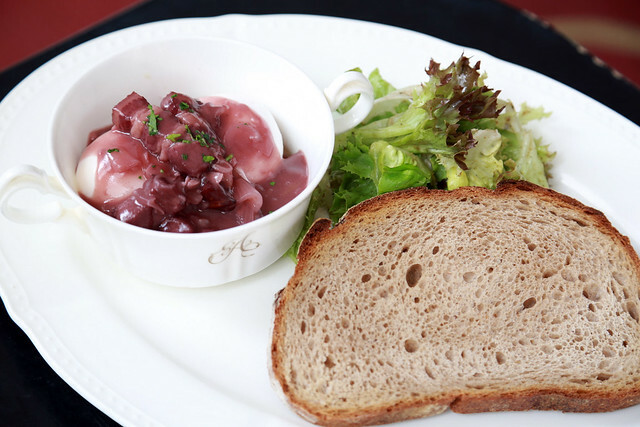 There are all-day breakfast items, starters and salads, hearty main courses, sandwiches, blinis, crepes, and even pastas. 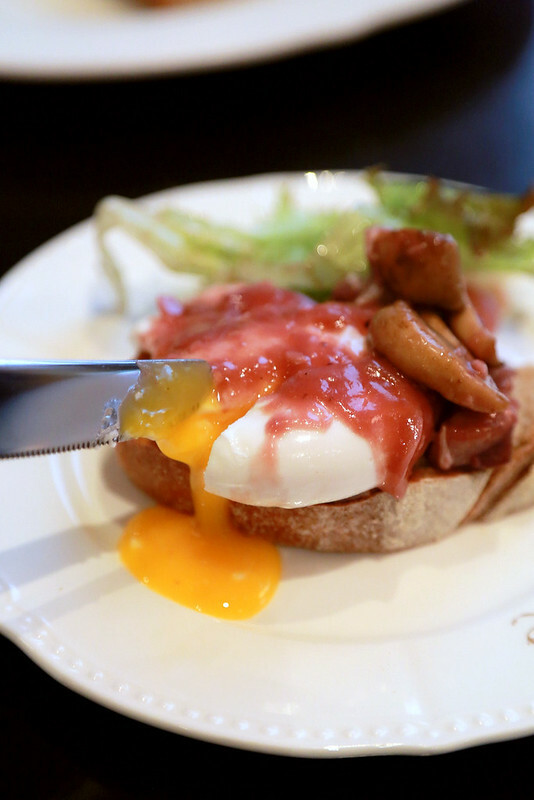 Recently, they updated the menu with some regional French classics, both on the sweet and savoury side. Chef Pang Kok Keong's foundation is actually in classical French cuisine. He is not just Singapore's beloved Sugar Daddy, he's a master at the savouries too. In his savoury dishes, you'll find the same precise and meticulous dedication he lavishes on his pastries. 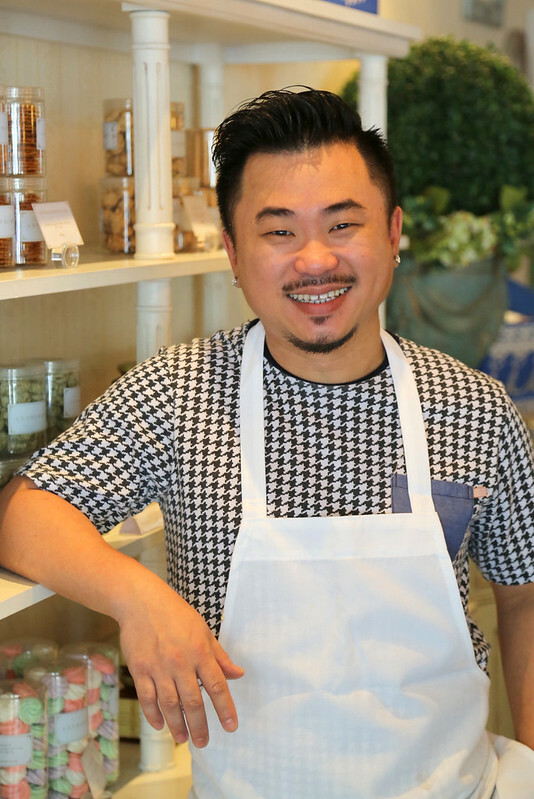 "I'm not about being trendy or a hipster," says Chef Pang. His food is about comfort, connection and a continuity with the past. He has chosen classics that have stood the test of time. A lovely and colourful salad that's beautifully refreshing. 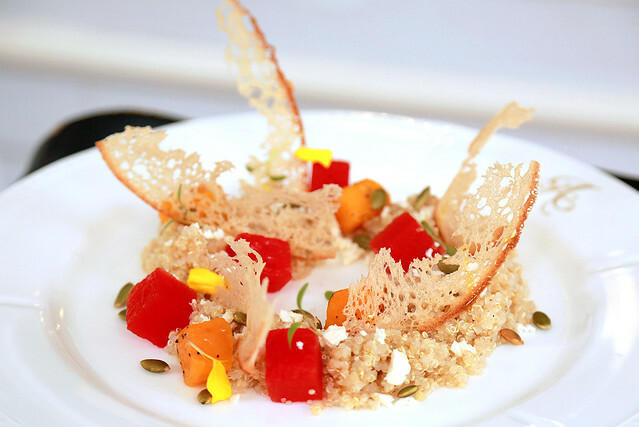 It's got quinoa, compressed watermelon, roasted butternut squash, pumpkin seeds, feta cheese, sherry vinaigrette, olive oil, and sour dough chips that make this salad 'take flight'. If you love wine, this will be the perfect start to your day. 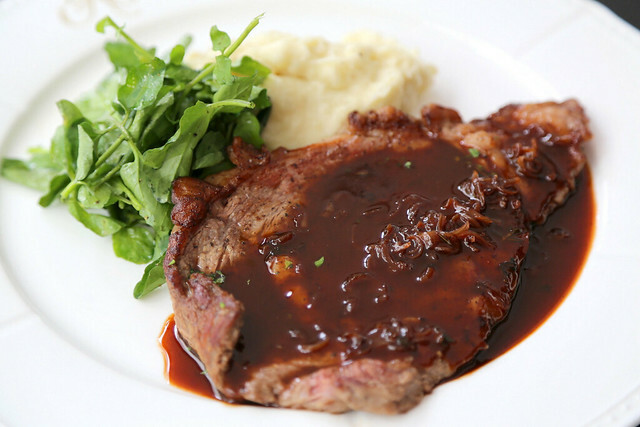 The smoked pork belly is bathed in a heady red wine sauce. Toasted levain bread (all the gorgeous bread is made inhouse) makes a great base for the poached egg. See? I love the bread. I'm not a wine person, so the sauce was a little too strong for me, but the egg, pork and bread were perfect. Gardens are an apt name. With a dozen or more ingredients of contrasting colours, textures and flavours, the salads here are an absolute delight. 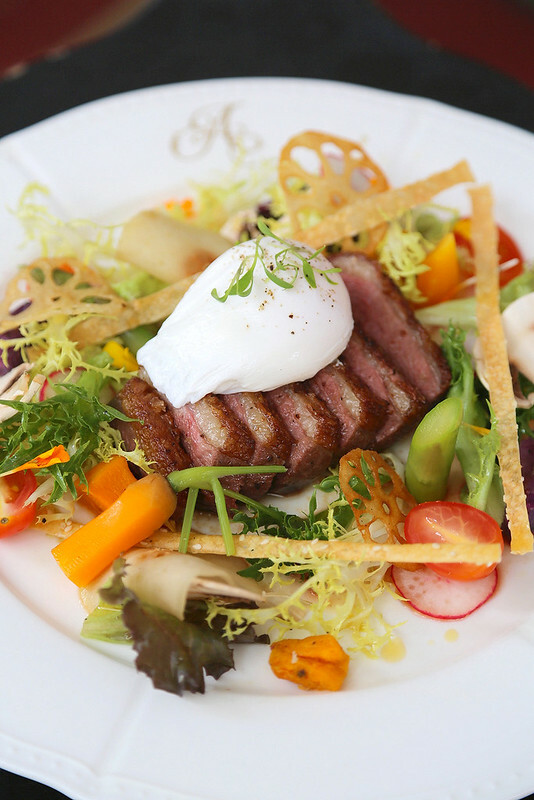 Beautifully seared roasted duck breast with tangy pickled pears, a poached egg, roasted asparagus, baby carrots, beets, sweet potatoes, cresses, flowers, mixed greens, sunflower seeds, button mushrooms, cherry tomatoes, lotus root chips, lavosh crackers and caramel orange dressing. There's a lot of work just prepping for this dish! This is the big garden (main course); there is also a small garden (Le Petit Jardin, S$20.50) in the starter that features foie gras on levain toast. This turned out to be one of my favourite dishes here. It's an understatement to say this was a beautiful steak with an amazing sauce. I normally prefer my steaks sans sauces, but this sauce was a perfect complement that made the beef sing me an aria. Singing cow? Well, I was just mooved. 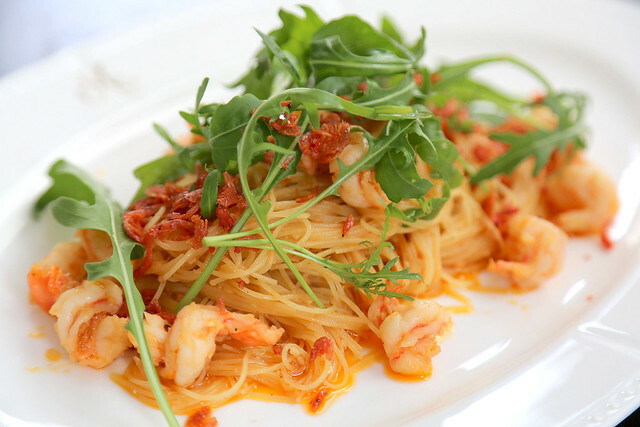 Capellini pasta with sea shrimp, Sakura ebi and rocket leaves. Umami bomb! They are generous with the crustacean oil, maybe just a little too generous. It was aromatic but the mouthfeel just a tad greasy. I still liked this though. 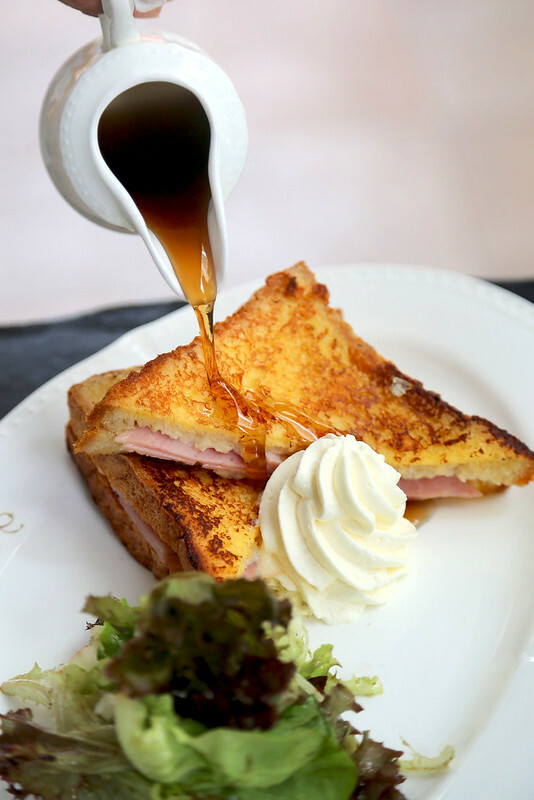 One of the four Pain Perdu Avec Crème Chantilly, this one is quite an unusual sweet and savoury combo - ham and cheese, AND maple syrup. It's made all the more decadent with Swiss Gruyère cheese cream, balanced by a salad on the side. These are just some of the savoury highlights - the menu is pretty extensive. Have a look online. On the sweet side, Chef Pang continues to dazzle with dramatic desserts. New on the menu are four "plated desserts" - three of which we managed to try. 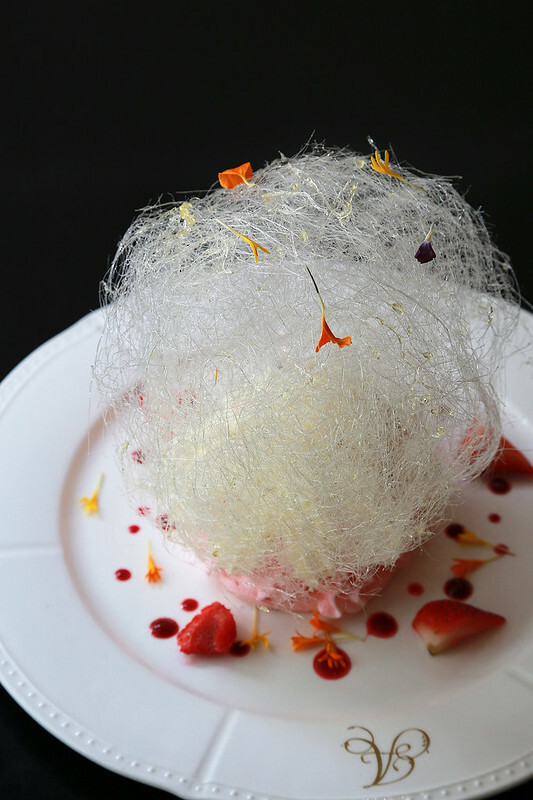 Witness this stunning confection of rose petal meringue filled with yuzu cream, vanilla ice cream, vanilla creme Chantilly, lychees, strawberries and raspberries, topped with a crown of ethereal spun sugar. I hear shrieks of delight. It is very sweet though. I'd wager the sugar content of this thing to be 65% or more. This is a Rum Baba soaked in citrus vanilla syrup perfumed with dark rum. 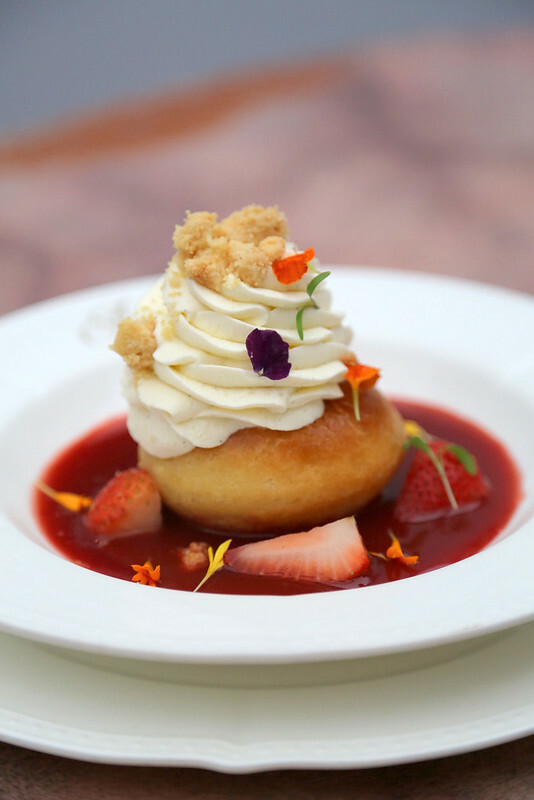 In the strawberry coulis lie kirsh macerated strawberries, and the baked dough is topped with vanilla creme Chantilly. Beware, the rum is strong in this one. 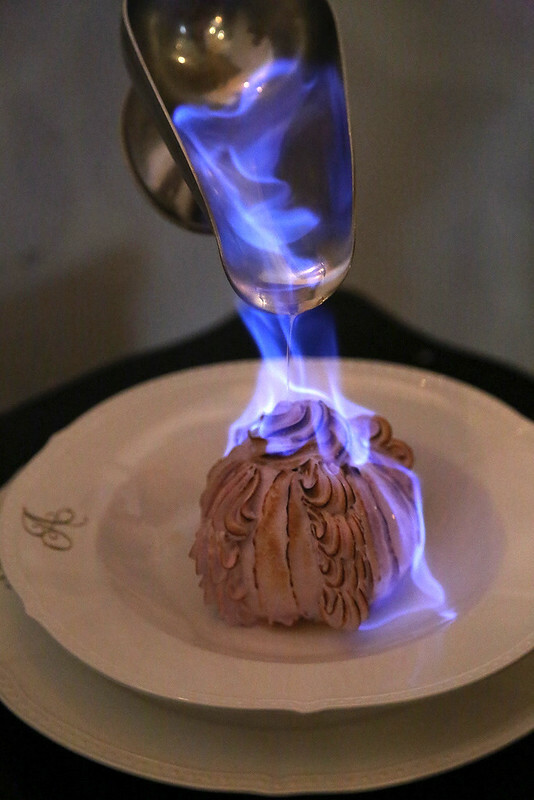 Or more plainly, the Baked Alaska, which is another dramatic dessert. It is a grand classic, not easy to make at all. 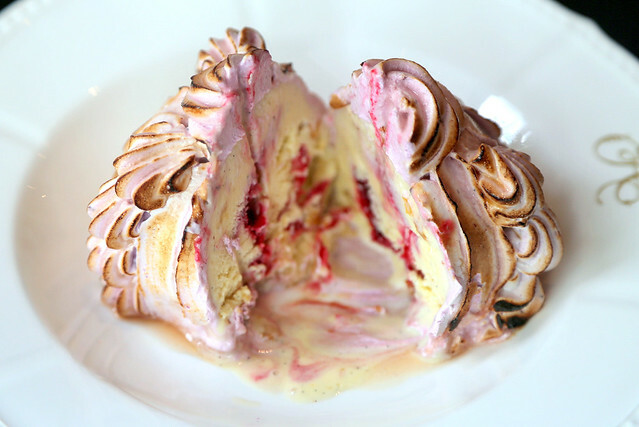 Most baked Alaska desserts are more fun to watch than eat, but this one is tasty. Griotte cherries cooked in kirsch, are enveloped together with orange confit and almond nougatine in a torched blackcurrant meringue. Grand Marnier liquer is poured over and flamed. Do not go too near if you are wearing abundant hairspray. The signature array of smaller desserts remain as alluring as dancers in a Nutcracker dream. 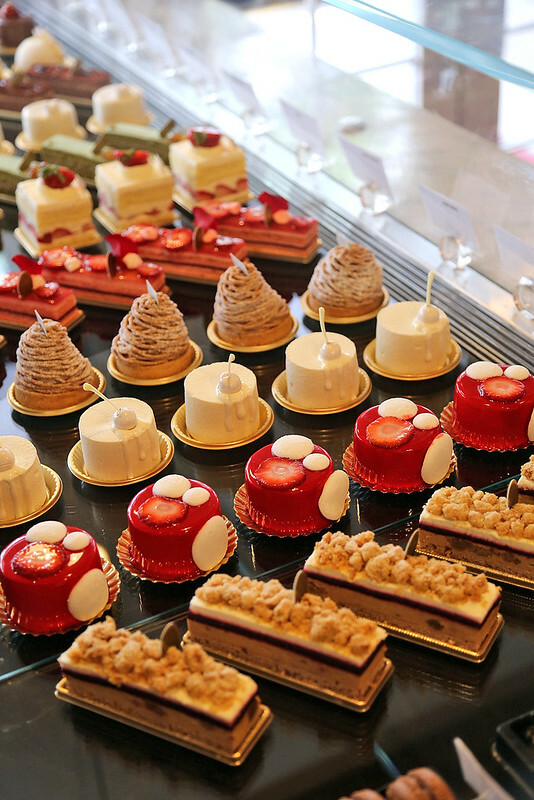 There are some new cakes - Désir (chestnut, front row), Cafe Noix (coffee), Charlotte (Tahitian vanilla and strawberry, second row from front, named after his second daughter), Forét Blanc (white forest, third row from front), and Le Fruitier (almond and fruits). What's also interesting is the selection of teas that go with the desserts, now including Chinese tea blends like the Oriental Beauty (S$10), which is a sencha flavoured with organic rose petals, calendula marigold flower and a hint of mint. 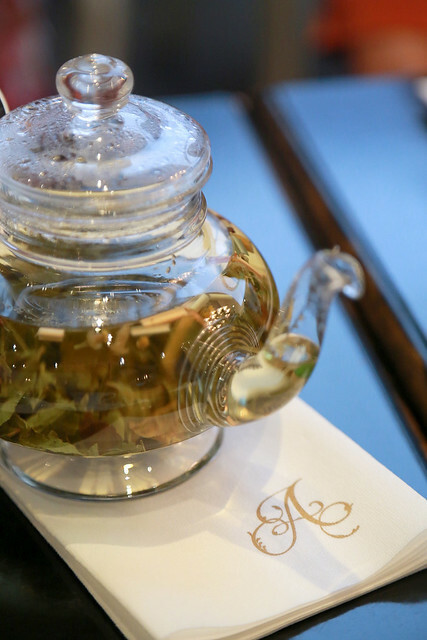 "I feel that the clean, light profile of Chinese tea goes well with desserts, especially pastry," says Chef Pang. There are also gorgeously refreshing iced fruit teas like this Iced Yuzu, Mango and Passionfruit (S$12.50 per pot) - it's got dill in it too. 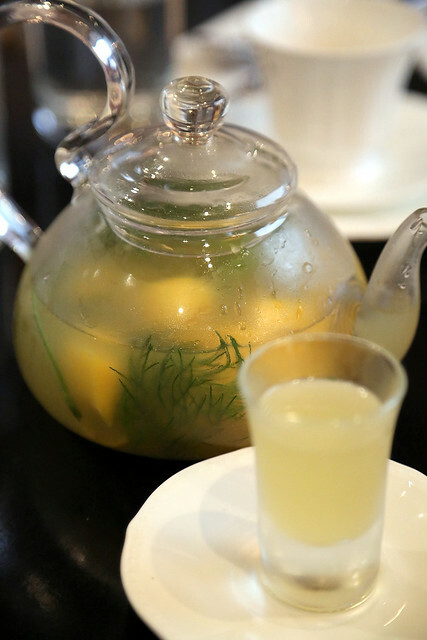 "The iced teas are visually appealing and reminds me of a garden picnic," says Chef Pang. 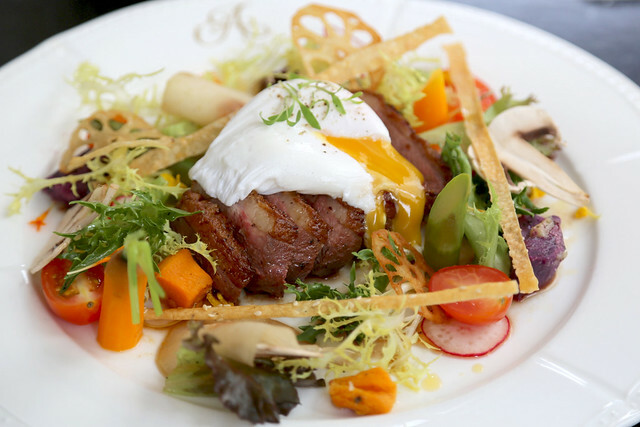 With these new items, Antoinette's menu now not only boasts variety but depth as well. However, the familiar favourites remain - Boeuf Bourguignon, Ballotine de Poulet à la Grand-mère, Classic French Onion Soup, and so on. Again, very much French classics. Personally, I like savoury stuff more than I do desserts, and I am thankful there are choices for people who love both sweet and savoury. 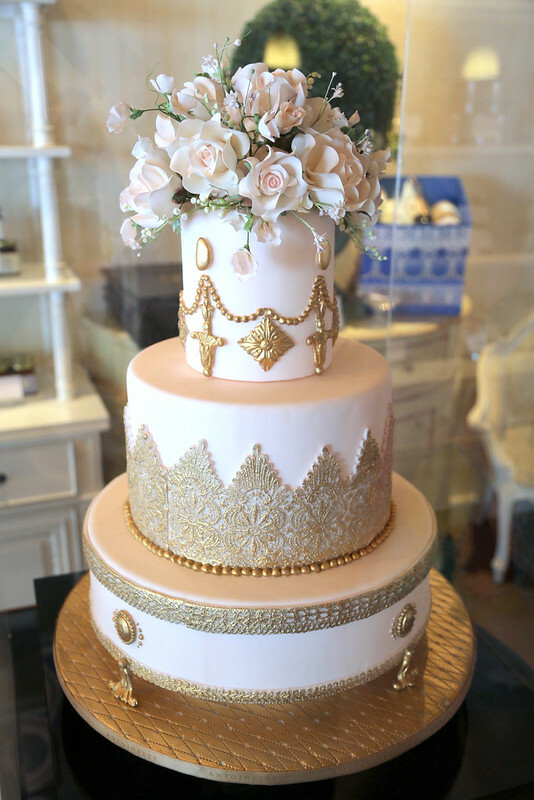 You don't have to be a dessert person to enjoy Antoinette. They've got it all. P.S. 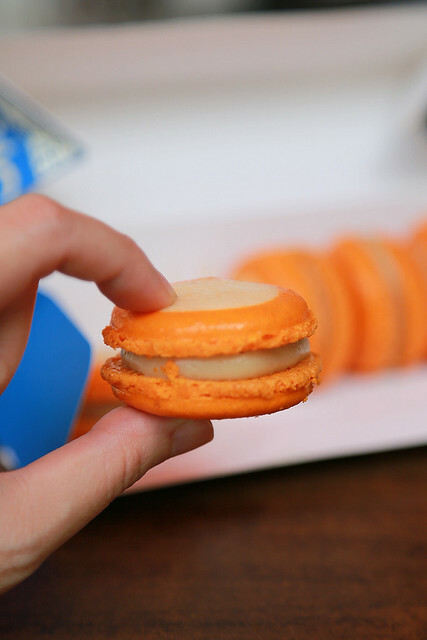 Check out mooncake macarons - with an unusual filling of lotus paste and centre of salted egg yolk! Thanks to Bing for the invite, and Chef Pang for the lunch!